Do you love to go thrift store shopping? I do and can do some real damage to my budget in a thrift store if I don’t watch myself. One of my favorite things to grab at thrift stores is chairs and other furniture that simply need reupholstered. 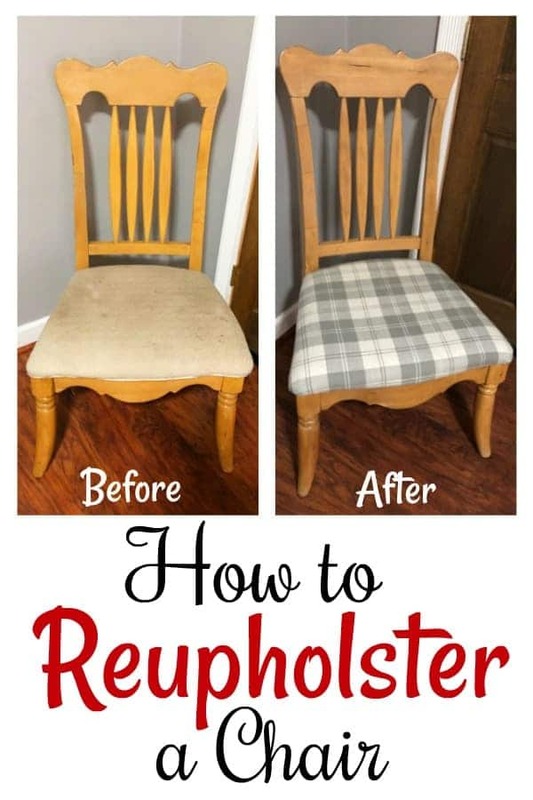 Learning how to reupholster a chair may seem hard, but it really isn’t. In fact, it is far easier than I expected it to be! If you’re not a big thrift store shopper, I would highly suggest you start with these thrift store shopping tips. They are the tips I use myself to make certain that I get the absolute best thrift store deals. Secondhand shops can be iffy if they’re pricing close to retail which means you really need to keep your eyes open. 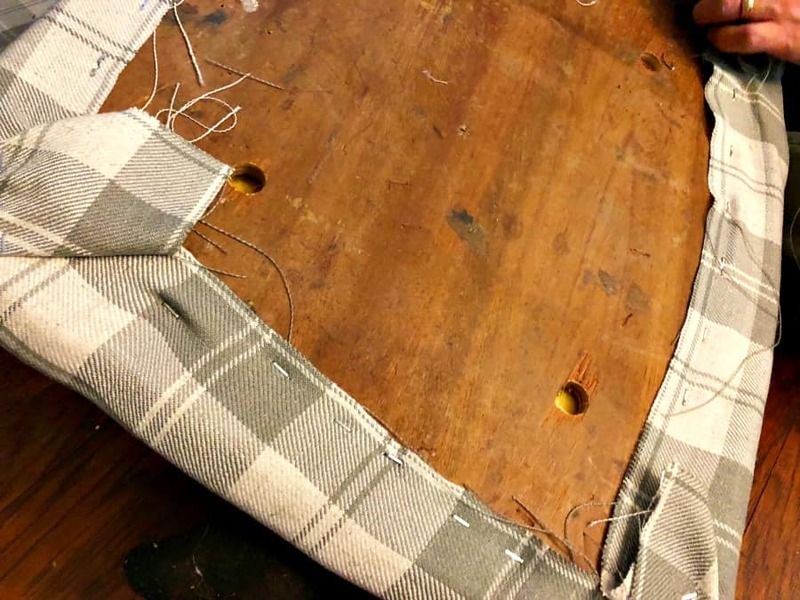 Learning how to reupholster a chair might seem complicated and if you’re doing it alone, it may be. 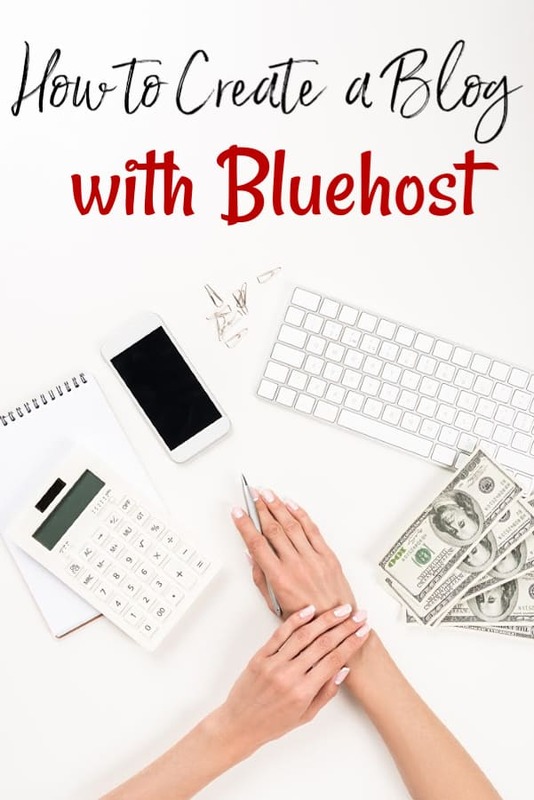 It is almost always easier to do with a partner, but it can be done by yourself if you need. 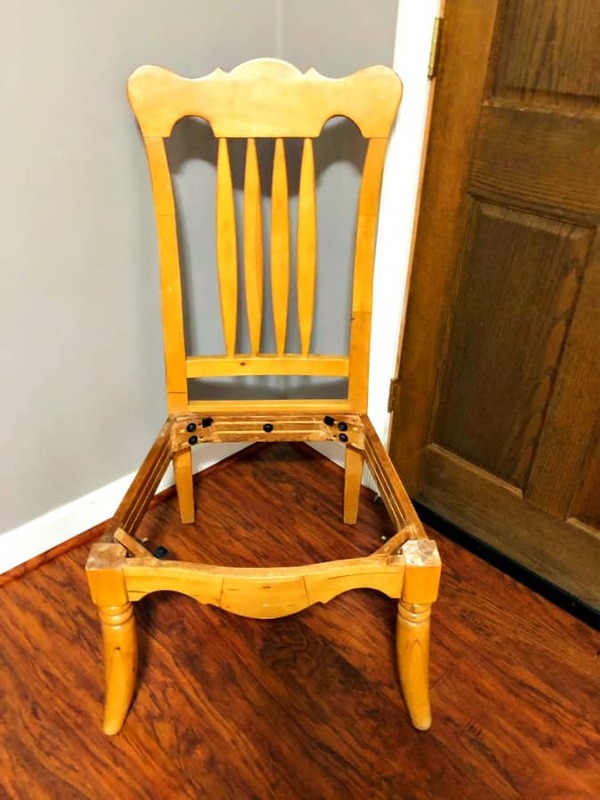 No matter if you’re alone or not, I’m positive that this will be your favorite thrift store upcycle that you’ve ever done. Personally, once I learned how to reupholster a chair, I was all over them in the thrift stores whenever I could find them! It’s just so much fun taking something ugly and old and turning it into something new! To start, turn the chair over and using the screwdriver, remove the bottom seat or cushion from the chair and set the chair aside for later. 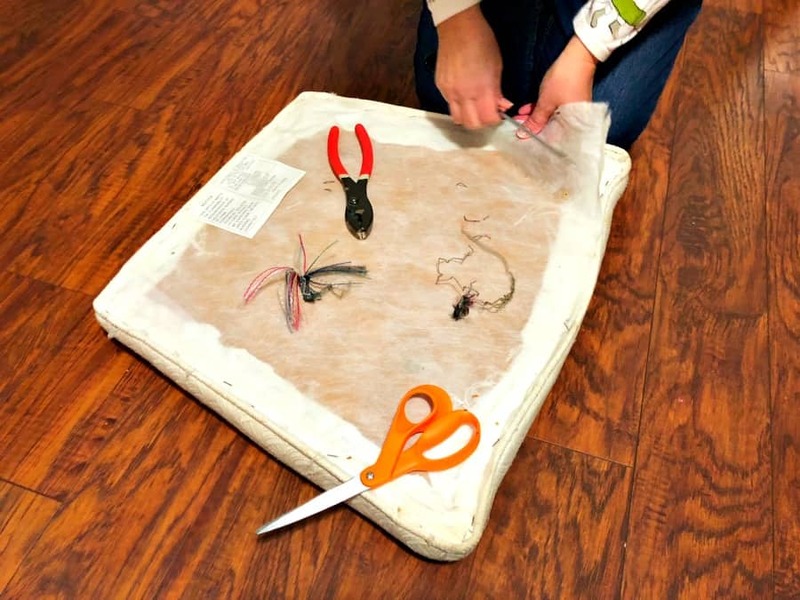 Remove any outer fabric that your chair cushion has using the screwdriver, needle nose pliers or scissors. Once you’ve got the outer fabric removed, use the screwdriver to remove all staples from the cushion. Ours took a bit since it had quite a few staples so be aware that this can be a tedious process. 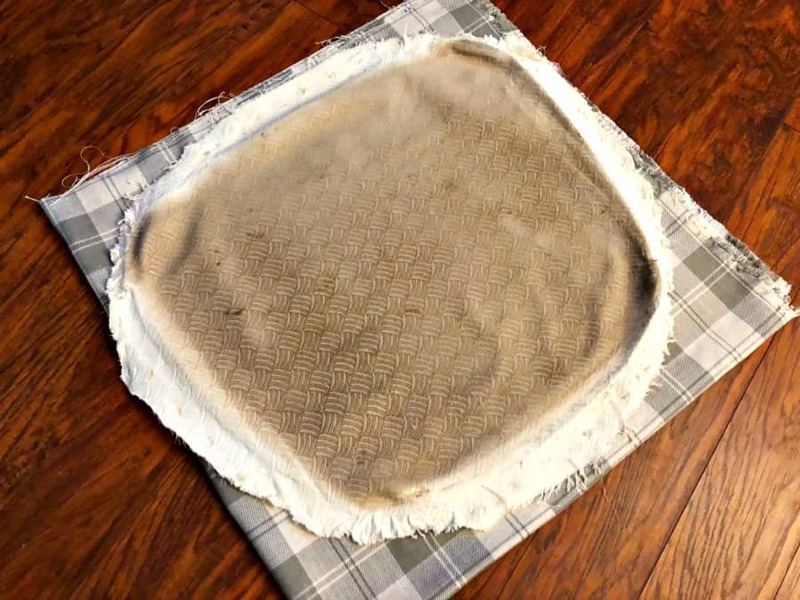 DO NOT DESTROY THE OLD FABRIC when you remove it. Using the old fabric as a stencil, lay it out flat over the new fabric you have chosen. Pin it down using sewing pins and carefully cut it out with scissors. 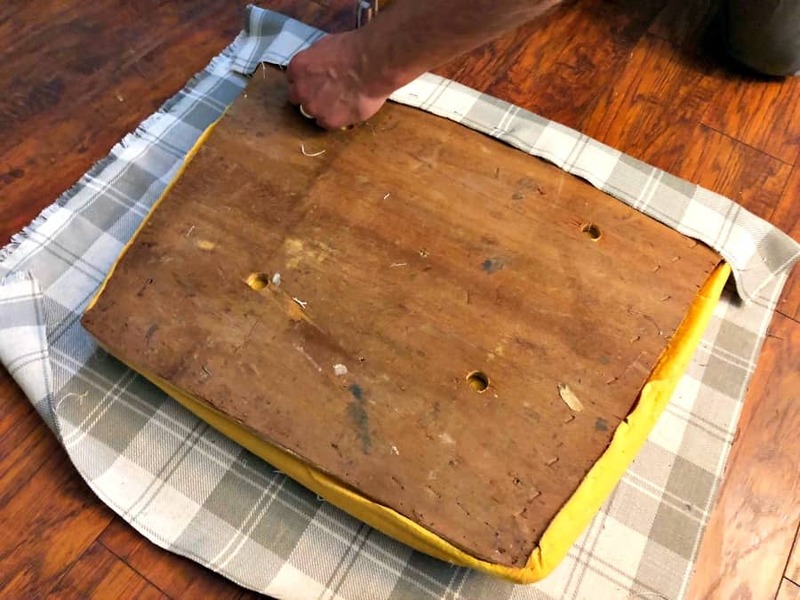 I kept my existing foam on my seat cushion as it wasn’t bad but you can also replace that by tracing the existing foam on a new piece the same way you did with the fabric. Lay your new fabric face down and fold the sides of the fabric back over the chair tightly but do not stretch. I started with the front of the chair, back, and right to left sides. 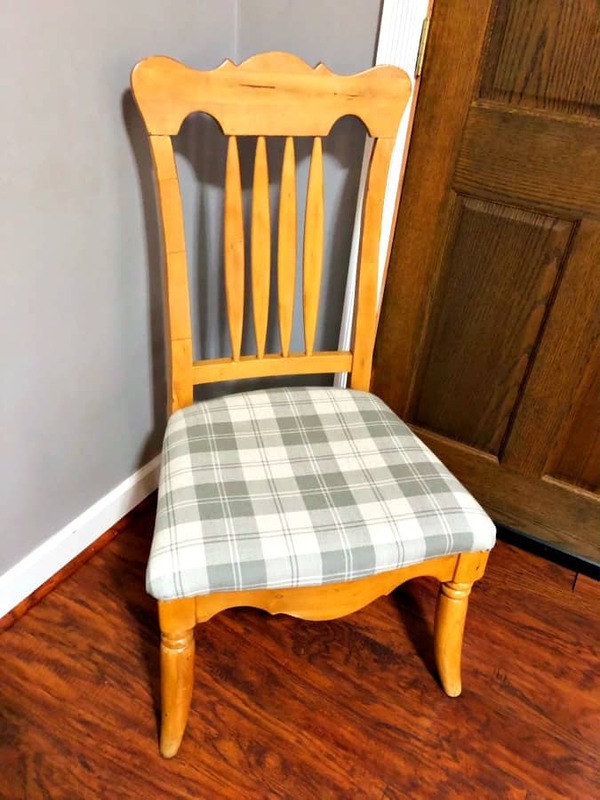 Carefully use a staple gun to staple the new fabric onto the chair. 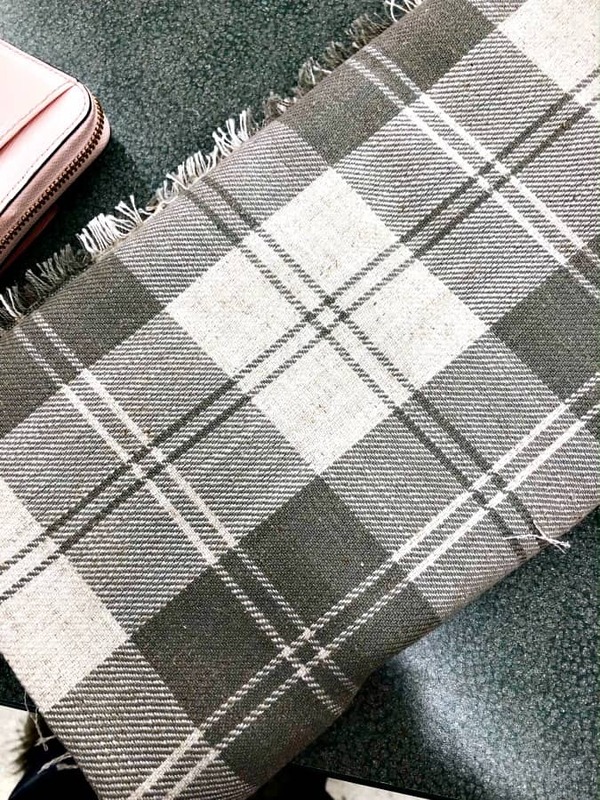 In the corners of your chair, you will need to overlap some pieces to create pleats in the fabric so you do not have a ton of excess fabric on top and carefully staple the pleats down onto the bottom of the seat. If you have excess fabric on the bottom, you can either trim it off with scissors or staple it to the base of the chair. Once you’re finished with the seat, use a screwdriver to re-attach the seat piece to the base of the chair. Make sure to screw your seat on tightly so there isn’t any worry about the chair falling apart. See? I told you that learning how to reupholster a chair was easy! Go forth and thrift shop!